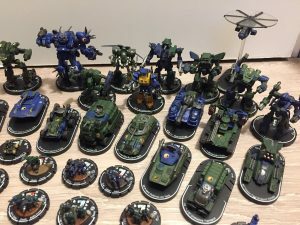 BattleTechWiki is an online open-content collaborative encyclopedia (targeting the fictional BattleTech universe), that is, a voluntary association of individuals and groups working to develop a common resource of human knowledge. The structure of the project allows anyone with an Internet connection to alter its content. Please be advised that nothing found here has necessarily been reviewed by people with the expertise required to provide you with complete, accurate or reliable information. BattleTechWiki cannot guarantee the validity of the information found here. The content of any given article may recently have been changed, vandalized or altered by someone whose opinion does not correspond with the state of knowledge in the relevant fields. BattleTechWiki is not uniformly peer reviewed; while readers may correct errors or engage in casual peer review, they have no legal duty to do so and thus all information read here is without any implied warranty of fitness for any purpose or use whatsoever. Even articles that have been vetted by informal peer review may later have been edited inappropriately, just before you view them. None of the contributors, sponsors, administrators, or anyone else connected with BattleTechWiki in any way whatsoever can be responsible for the appearance of any inaccurate or libelous information or for your use of the information contained in or linked from these web pages. Please make sure that you understand that the information provided here is being provided freely, and that no kind of agreement or contract is created between you and the owners or users of this site, the owners of the servers upon which it is housed, the individual BattleTechWiki contributors, any project administrators, sysops or anyone else who is in any way connected with this project or sister projects subject to your claims against them directly. You are being granted a limited license to copy anything from this site; it does not create or imply any contractual or extra contractual liability on the part of BattleTechWiki or any of its agents, members, organizers or other users. There is no agreement or understanding between you and BattleTechWiki regarding your use or modification of this information beyond the GNU Free Documentation License (GFDL); neither is anyone at BattleTechWiki responsible should someone change, edit, modify or remove any information that you may post on BattleTechWiki. Any of the trademarks, service marks, collective marks, design rights, personality rights or similar rights that are mentioned, used or cited in the articles of the BattleTechWiki encyclopedia are the property of their respective owners. Their use here does not imply that you may use them for any other purpose other than for the same or a similar informational use as contemplated by the original authors of these BattleTechWiki articles under the GFDL licensing scheme. 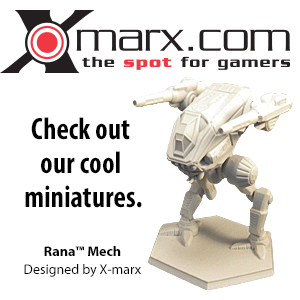 Unless otherwise stated, BattleTechWiki is not endorsed nor affiliated with any of the holders of any such rights and as such BattleTechWiki cannot grant any rights to use any otherwise protected materials. Your use of any such or similar incorporeal property is at your own risk. Publication of information found in BattleTechWiki may be in violation of the laws of the country or jurisdiction from where you are viewing this information. The BattleTechWiki database is stored on a server in the State of Virginia in the United States of America, and is maintained in reference to the protections afforded under local and federal law. Laws in your country or jurisdiction may not protect or allow the same kinds of speech or distribution. BattleTechWiki does not encourage the violation of any laws; and cannot be responsible for any violations of such laws, should you link to this domain or use, reproduce, or republish the information contained herein. This page was last edited on 25 April 2019, at 20:22.